At the beginning maybe, but I didn’t find them 2B bland, well 9S is a little boring. yeah, yeah, it’s a copypasta. I’m tired. 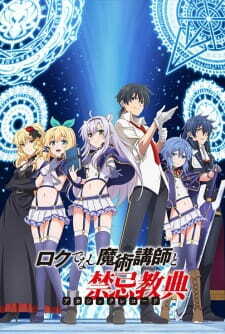 Just finished Rokudenashi Majutsu Koushi to Akashic Records. Definitely needs another season as the main thing was only mentioned, never dealt with. Now on to Hitsugi no Chaika. 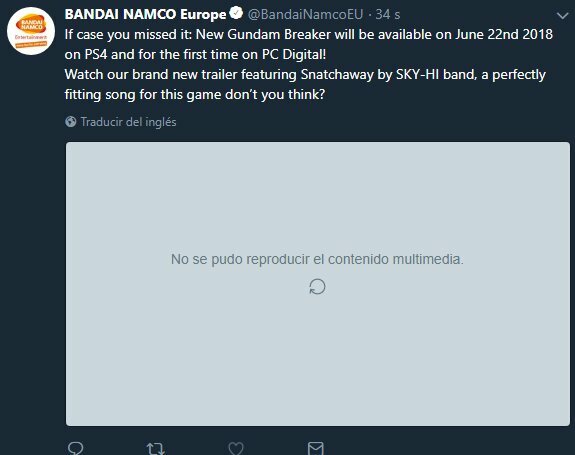 @Nibellion Someone messed up with timing, Gundam Breakers coming for PS4 on June 22 and PC version confirmed, tweet is deleted right now. Announcement incoming. No guarantee it’ll be good or not. But hey Gundam on PC. Neat, I might check it out when it comes out. aww… now I got to pay if I want to keep watching Fate Stay Night on there. 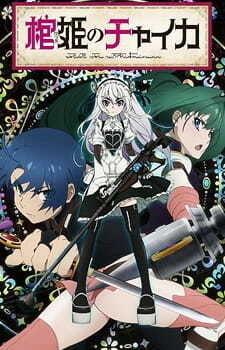 Been watching Hitsugi no Chaika (Chaika - The Coffin Princess) and S2 (Avenging Battle). Not done, got a bit of the last episode left (and then the OVA). I don’t find the MCs to be very likeable/relateable. They’re dry and too stiff. No real character development imo. Chaika kinda makes up for it, though. But overall it’s kinda dry and shallow. But then again, I kept watching it. Almost time for new anime. Soon. I’m curious find out all the stuff that will come out. Then I’ll add stuff that interest me to the queue. Looking for information on the current or upcoming anime season? MyAnimeList has got you covered! Join the online community, create your anime and manga list, read reviews, explore the forums, follow news, and so much more! Stuff that I’ve added to my ptw list. I’m sure there will be more I’ll add as the season gets going. If you have a MAL account you guys should log on and have a look at your “watching list”, and the top anime list. Finished My Ancient Magus Bride. It was a great anime. Well drawn, good story, good characters, and great music. Almost done with my rewatch of Trigun. Then onto rewatch of Psycho Pass. Rewatched Service X Servant. Might be a bit too much slice of life even for me. Has a bit less going on than Working! and it’s also only one season. I also watched the first episode of Overlord II. I don’t know. So far I’m not feeling it like with S1. Maybe my expectations are too high. But I’ve read a ton of Shokugeki no Soma (Food Wars). I’m actually reading more manga on my phone than actual printed manga (despite collecting them), so it might be time to get a tablet for that (staring on a 5" screen is annoying). I’ve been watching Violet Evergarden, and I’m really enjoying it. The story has been pretty good so far, but what I’ve liked most about the show is the animation which is absolutely gorgeous. If you haven’t see it, I’d say you should go, if for nothing other than the animation. Well if you haven’t made it through one yet, you won’t make it through any of the rest lol. 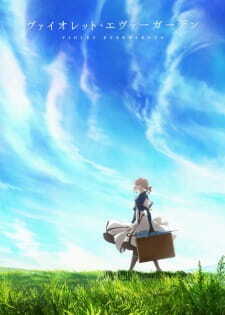 I finished Violet Evergarden and every episode but 12, made me cry or tear up. Great show.